This delightful luxury camping site is set within the beautiful French countryside, right by a lush green forest. It is the perfect base for a camping holiday, as it is close to several fun attractions including a zoo, an aquarium, and pretty local towns. You can relax on the campsite from a comfortable mobile home, and visit the famous Fort Boyard just a few kilometres away, right by the clean, sandy beach. 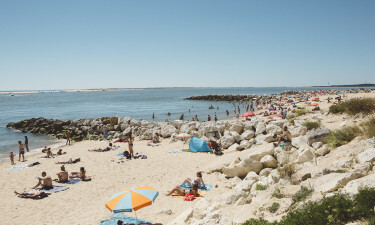 Situated between Gironde and Oléron Island, this luxury camping destination is perfect for families. It offers a range of amenities and activities to keep both adults and little ones entertained, for a relaxing holiday experience. 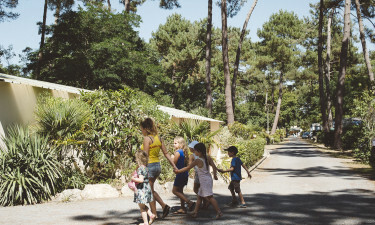 Why choose Camping La Pinède? The pool area at La Pinède has to be one of the best features of this LuxCamp. With hot tubs for the adults and slides and a lazy river for the kids, this pool complex has something for everyone. Situated just under 5km from the campsite is a beautiful sandy beach that makes the perfect spot for reading and sunbathing.